Despite many social and cultural barriers, Afghan women have made eye-catching progress in the post-Taliban period. They are playing an active role in advocating their rights and freedoms and ending sexual discrimination, which still holds strong sway across the country, mainly in the tribal belts. “As we celebrate International Women’s Day, let us be reminded, women cannot be left behind as Afghanistan charts its way towards sustainable peace. Having women actively and substantively participating at the peace decision-making tables is a fundamental and key step towards them shaping gender-responsive laws and policies for the benefit of all Afghans,” said UN chief in Kabul. 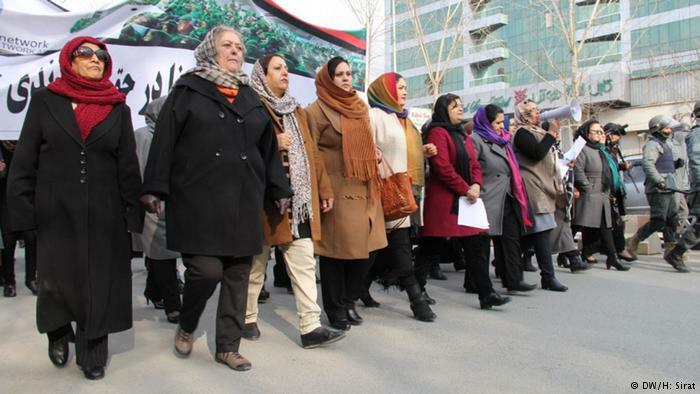 Meanwhile, government says the number of women employees in civil service departments has increased by five percent in 2018 against its previous year. Although gender discrimination has no room in Afghan Constitution, which officially recognizes the United Nations Charter and the Universal Declaration of Human Rights, it is still exercised in some parts of the countryand violence against women is reported frequently. Women still encounter cultural obstacles. However, it is believed that with the public campaign against gender discrimination, in which women played a key role, and women’s participation in social, political, cultural, and economic spheres, the level of negative sensitivity towards women has decreased to a great extent. Unlike the past, the public have accepted the undeniably significant role of women in the community. In recent years, the situation for women has much improved as the collective move towards the goal of a violence-free society for them impacts the society. While there were almost a-zero percent of girls in school during the Taliban era, there are now millions of girls going to schools and universities, which virtually would change their life as well as the attitude of the society and that of families. During the Taliban regime, the Afghan women were fully banned from working outside and in public services and were forced to stay indoors. They were forced to be accompanied by a male relative when going out, visiting relatives or shopping. But now, they are memories of the past. The fact that millions of girls are going to universities is indicating that the country is changing, though not at a fast pace, but is moving in the right direction. However, there should be concrete measure both from the Afghan government and the international community to sustain these achievements and ensure that the women’s rights would be protected and preserved in future.